Note: Specific details on each set of permissions are explained below under each type. You can find steps to invite a Business Partner, Basic Employee or Contractor here. Business Partners will not be able to cancel your FreshBooks account, remove you as an admin, or access the Apps & Integrations tab. Basic Employees will not be able to create or send Invoices to Clients, or view your Reports or financial information for your business. Contractors do not see anything else from your account. Because they have their own account, Contractors may choose to add and work with other Clients besides you. 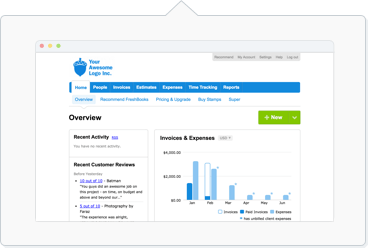 Accountants will not be able to create or send Invoices to Clients, track time, view Projects or access your Clients. You can also invite up to 10 accountants per business for free. Can I switch my team member’s role after they’ve been assigned one? Click Save to finish, and the team member will receive an email about the role changes.